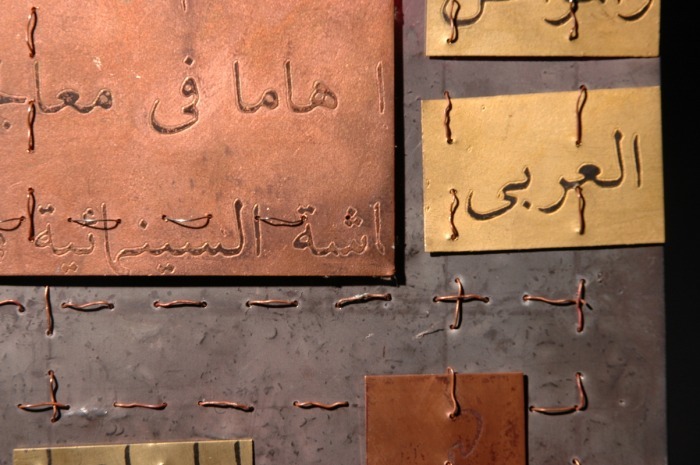 With the spread of Islam, Arabic came to be used to write many languages, becoming the second most widely used alphabet around the world today. 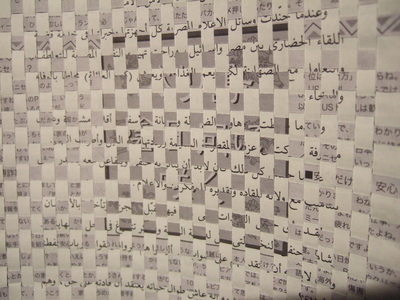 Writing systems are distinguished from other possible symbolic communication systems in that one must understand something of the associated spoken language in order to comprehend the text. 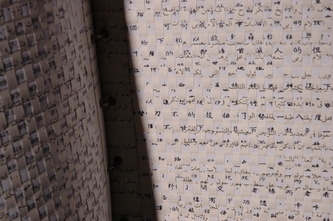 This piece aims to look at scripts in a different light, to not view them as a means of communication but as a form of art. 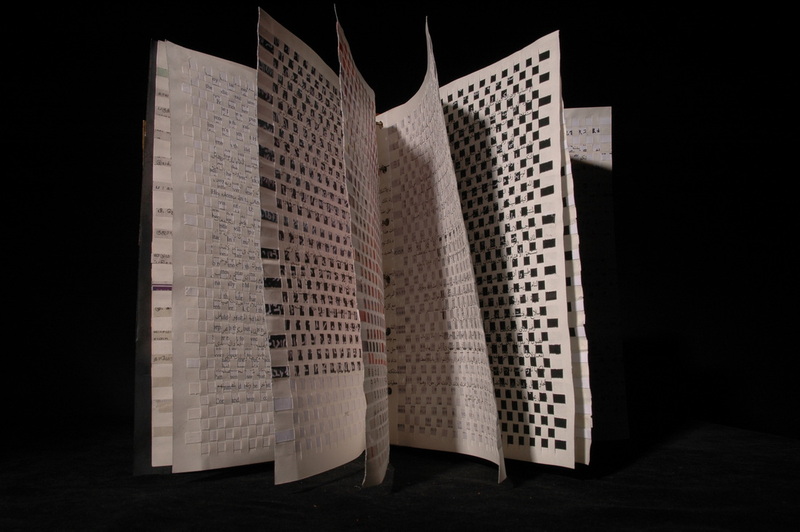 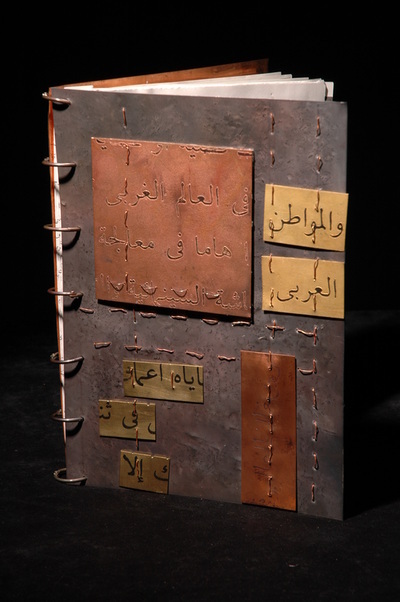 The piece takes a form of a book comprising of pages exploring different scripts. 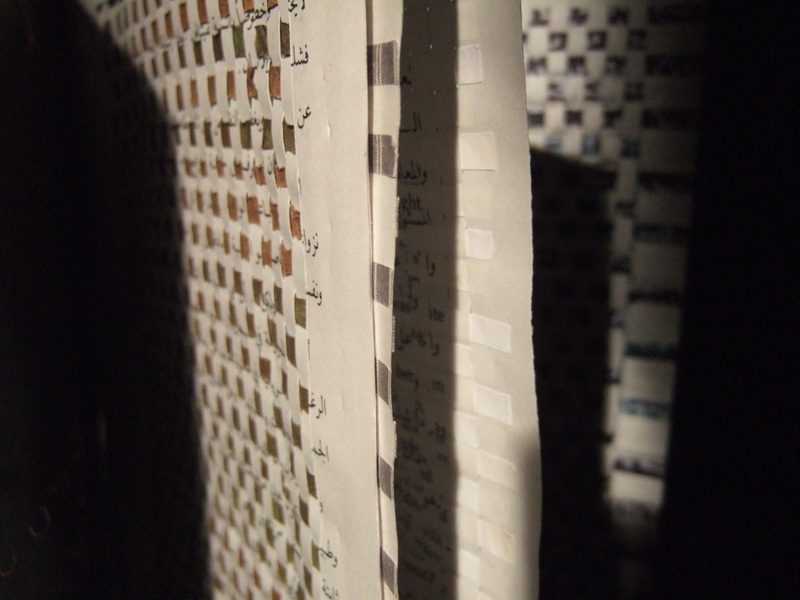 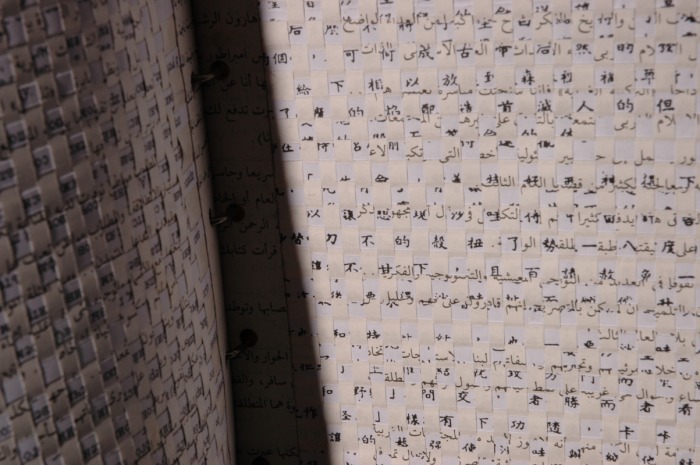 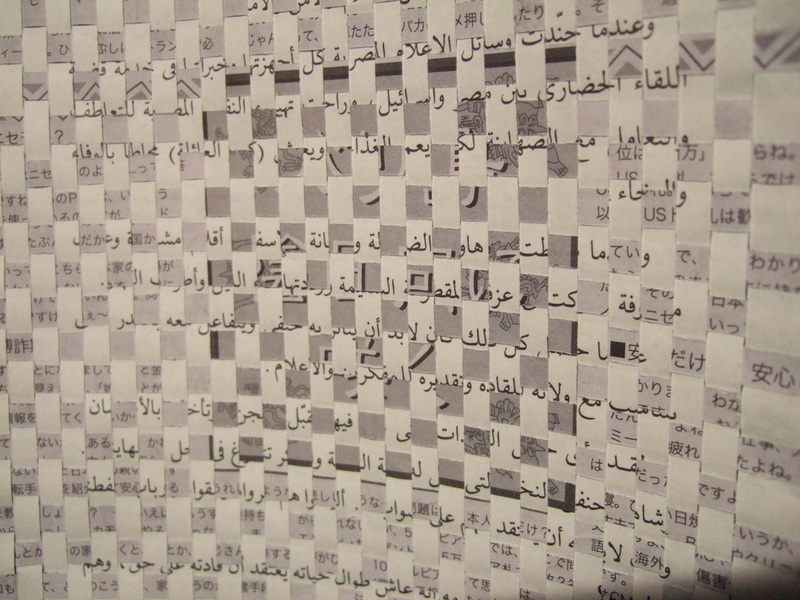 Each page is comprised of a sheet of Arabic text, intricately woven with another script. 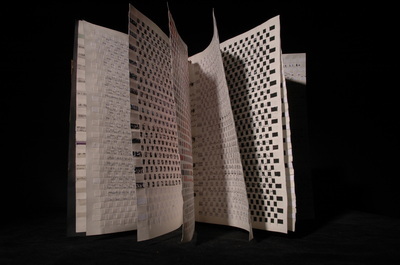 The effect is a juxtaposition of written scripts, in turn making the texts no longer legible but instead crating a series of patterns and forms.